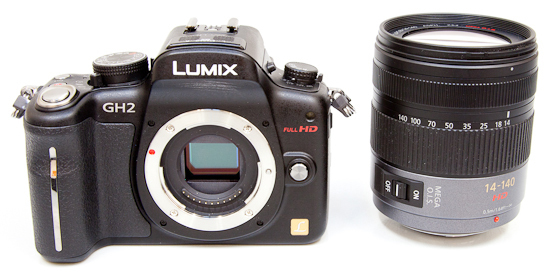 The Panasonic LUMIX G VARIO HD 14-140mm F4.0-5.8 ASPH. MEGA O.I.S. 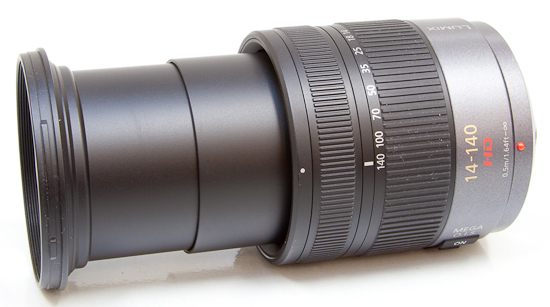 is a superzoom lens for the steadily growing Micro Four Thirds system. Featuring near-silent, high-speed focusing thanks to an inner focus direct-drive linear motor, the Panasonic 14-140mm lens is ideally suited for recording video and ships in kit form with the DMC-GH1/2 cameras as well as being available stand-alone. Offering a focal range of 28-280mm in 35mm terms, this 10x zoom lens uses four aspherical lenses and two ED lenses to achieve a compact length of 84mm and weight of 460g, whilst still featuring MEGA O.I.S. to help combat camera shake. Seven blades help give the aperture a rounded shape and it also has a reliable metal mount and multi-coated lens elements. The Panasonic LUMIX G VARIO HD 14-140mm F4.0-5.8 ASPH. MEGA O.I.S. lens costs £869.00 / $849.95 in the UK and the US, respectively. 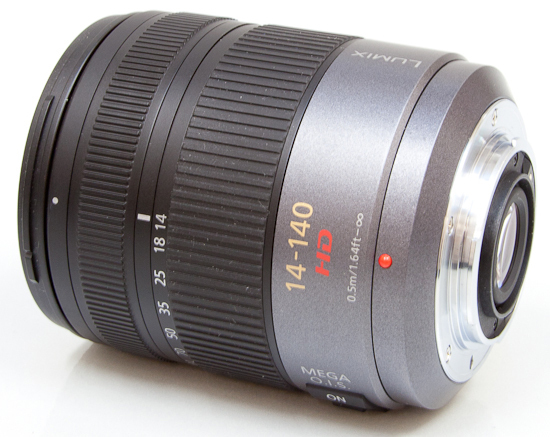 The LUMIX G VARIO HD 14-140mm F4.0-5.8 ASPH. MEGA O.I.S. is surprisingly small and light for a superzoom lens covering a 35mm equivalent focal range of 28-280mm. 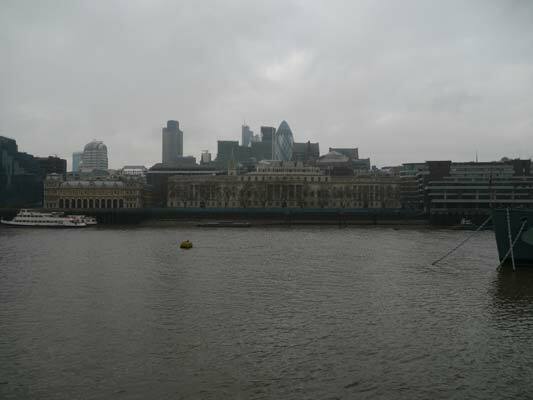 Zoomed out to the 14mm setting, the lens practically fits in the palm of your hand. 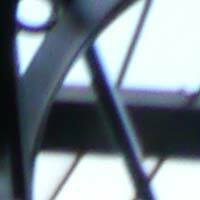 Zooming is not internal – as you can see, the front extends considerably upon zooming to 280mm, at which point the lens cannot be considered tiny any more. Still, it's a pretty compact affair for a lens that spans such a vast focal range. It's also light at just over 450 grams, although that's nearly 40% heavier than the other Micro Four Thirds superzoom, the M.ZUIKO Digital 14-150mm f/4-5.6 ED. 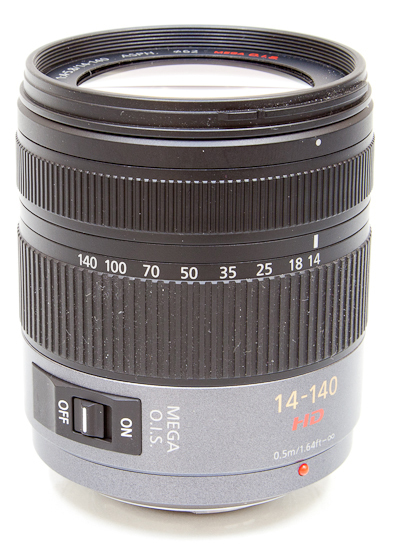 In terms of features, the lens offers a switch for turning image stabilisation on or off, one of the main reasons why it is so much heavier than the above-mentioned Olympus lens. 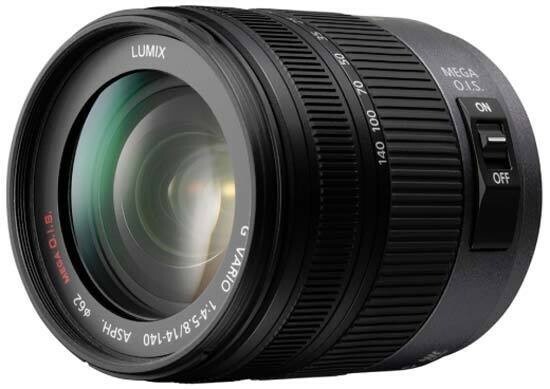 The LUMIX G VARIO HD 14-140mm F4.0-5.8 ASPH. MEGA O.I.S. lens may have a lot of plastic parts, but the lens mount is, thankfully, made of metal. Panasonic does not claim any sort of weather resistance for this lens, and indeed you cannot see a rubber seal around the mount (note that no current Micro Four Thirds camera is weather sealed anyway). Usefully the lens comes with a hood and a cloth storage bag, and it accepts 62mm filters. At the 100mm end of the zoom range, the lens has a diagonal angle of view of 75°, equivalent to that of a 200mm lens in a 35mm system. At the 140mm end, the angle of view is 8.8°, which is the same as that of a 280mm lens on a 35mm full-frame camera. 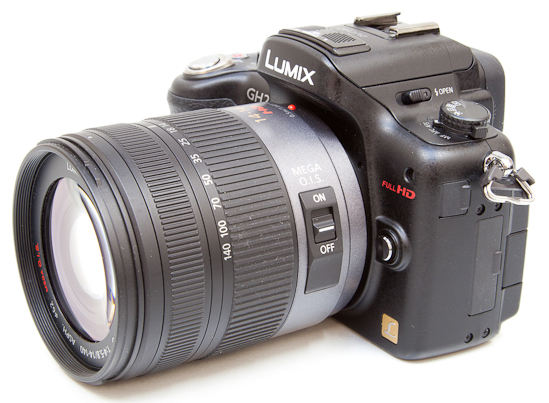 The LUMIX G VARIO HD 14-140mm F4.0-5.8 ASPH. MEGA O.I.S. lens offers virtually silent focusing. 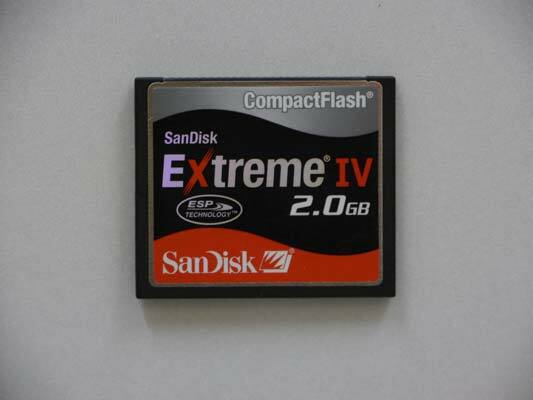 In use, we have also found the system very, very quick on the DMC-GH2, certainly faster than other Micro Four Thirds lenses. With the focus mode on the Panasonic Lumix DMC-GH2 set to AFC, the lens tracked moving subjects well. 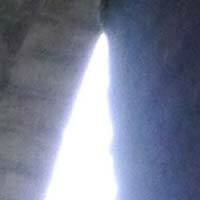 Chromatic aberrations, typically seen as purple or blue fringes along contrasty edges, can be a bit of a problem with this lens, particularly when used wide open in the telephoto range. The crops below are from photos taken at the 28mm and 280mm settings. 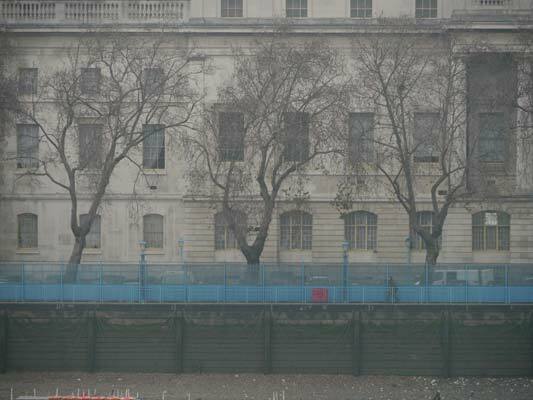 These results are far from disastrous though, and not unexpected on a long zoom like this. Although Panasonic does not call this a macro lens, it actually puts up a pretty good close-up performance, with a maximum 0.4x magnification rating and able to focus at 50cms away from the subject. Our test shot, which was taken at f/4, shows a bit of softness at close inspection, but stopping down to f/5.6 cures this problem.